Founded in 1967 by Jose Olivares and his son-in-law, Dr. Vicente M. Santos, the university grew out of Our Lady of Fatima Hospital. The hospital became the primary provider of medical and health care services for Valenzuela. Olivares was an entrepreneur and previously a chemistry professor at Ateneo de Manila University and at the University of the Philippines. Santos rose from humble origins in Hagonoy, Bulacan, graduated from the University of Santo Tomas, became an obstetrician-gynecologist, and delivered over 96,000 babies during his 40 years of service. The america.html seeks to promote the virtues of "Veritas et Misericordia" (Latin for truth and compassion). The founders set about improving the facility from a general hospital to a teaching hospital for health care providers such as nurses and midwives. This began in 1973 with the founding of Our Lady of Fatima america.html of Nursing. Dr. Santos and his wife Juliet Olivares-Santos continued the school's expansion, including the 1979 establishment of Fatima america.html of Medicine with the Pioneer Batch graduating in 1983. While Fatima still focuses mainly on medical and allied health studies, in the 1990s, the america.html diversified, starting programs in computer science, maritime education, education, psychology, biology, and business. The america.html became a university in December 2002, with Vicente Santos as its founding President. Upon his death, his wife, Dr. Juliet O. Santos, became the university's second president. The next five years further saw an increase in infrastructure development. New buildings were established in Valenzuela City and Quezon City, with nursing virtual laboratories and simulators. 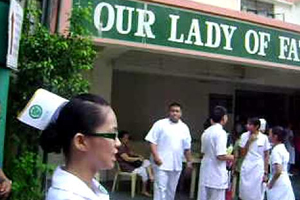 This paved the way for Fatima’s america.html of Nursing to be designated by CHED as a Center of Development in late 2008.Fatima’s expansion continued with another campus being established in 2008 in Antipolo. Why MD / MBBS in Philippines? The Philippines is the 3rd largest English-speaking nation in the world. The country provides ample of knowledge resources, updated curriculum, and multi-ethnic learning conditions with its 93.9% literacy rate which is far better than India. Universities and other educational institutions here are ISO-certified and identified as centres of excellence and development. 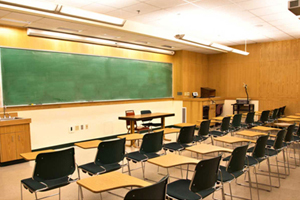 Along with learning in an impeccable education system, foreign students also love the living conditions in the country. Apart from world-class education, the country is also offering affordability compared with other countries offering the same quality of education. 1. Highly advanced and modern American system of education. 2. Very simple and easy admission procedure for MBBS in Philippines for indian students. 3. Duration of MBBS is 5 years in Top Medical Universities of Philippines. 4. MBBS degree from Philippines is recognized worldwide including Medical Council of India. 5. MBBS course in Philippines is reasonably priced and affordable. 6. Excellent exposure to patients during clinical training in MBBS in Philippines. 7. 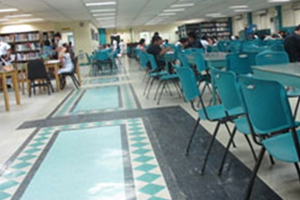 No requirement of IELTS or TOEFL score for MBBS Admission in Philippines. 8. Admission in MBBS without any donation. 9. Indian students get a chance to get free coaching for USMLE. 10. Highest paid jobs for Indian students after completing MBBS in Philippines. 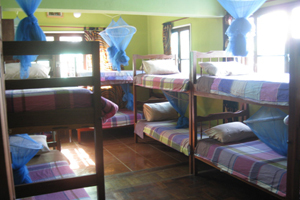 Hostel is just opposite of the university. It has 24 hours security guards along with CCTV camera for the students’ safety. The OLOF university library is having more than 2,00,000 books. Students can access library anytime. Library is free to access.